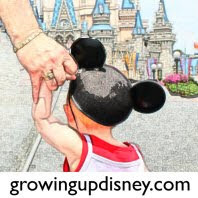 Growing Up Disney: Getting moving to WDW. Usually very compliant to those in authority, my degree is in criminal justice and I have a private pilots license so I do have a unique perspective on air travel and safety. But if I make a reasonable request to have my rolls of film hand checked rather than x-rayed I can't see that harm. 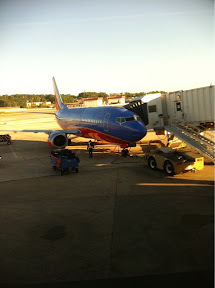 However it would have required the TSA agent to get off his stool so he argued with me about it. So what happens next, I get wiped down for an explosives check and a pat down. Thanks TSA dude, doing a bang up job on this one. I request you look in my bag and you refuse then have someone pull me aside to do it because you're lazy. I have low tolerance for any form of incompetence. 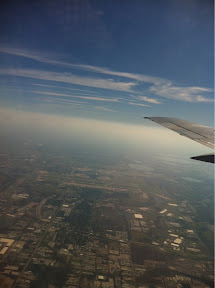 Anyway onward and upward and now downward as we make our decent into MCO. Now for the rental car and hotel check in. Let's see how those things go.